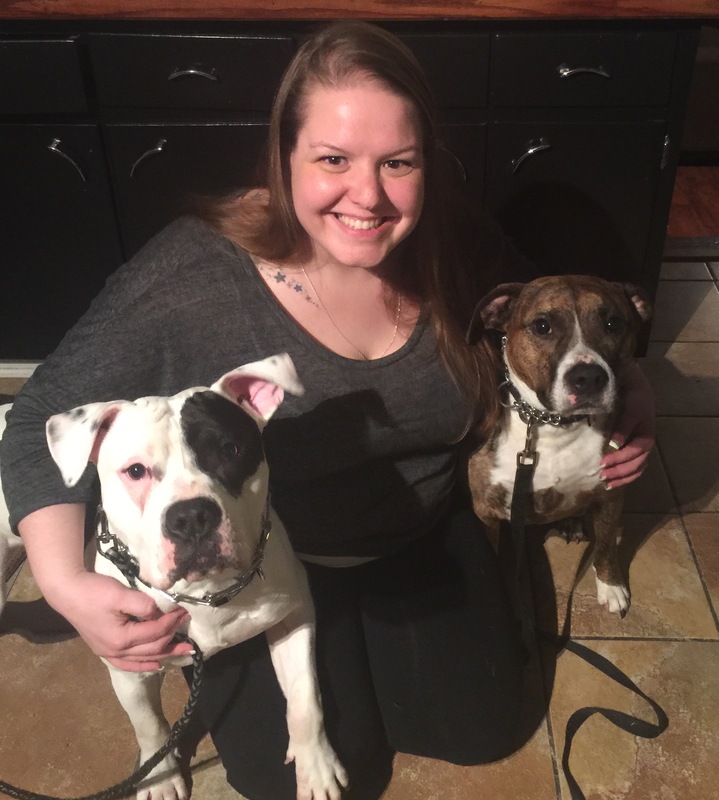 For many years, our Buffalo Dog Trainer, Danielle Jackson has worked with and helped people with disabilities live successfully in the community of their choice. Her passion and drive for helping others live successfully brought her to dog training, where she brings behavioral success and household harmony to dogs and their families. Danielle’s experience with dogs covers all ages, breeds, sizes, and temperaments. She believes in strengthening the bond between owner and the dog, and believes that education and empowerment can help any family and dog become one working unit. Her professional training background includes excelling through the highly selective trainer course offered by John Van Olden of Canine Trade Group. After mastering her coursework and practicum, Danielle became a certified dog trainer through Canine Trade Group, and is continuously expanding her canine behavior education and experience through this esteemed network of trainers and behaviorists. Jackie O’Neil is a professional dog trainer and dog behavior specialist. Before becoming a dog trainer, Jackie spent 8 years in the fitness industry as a certified personal trainer and group fitness instructor. When she and her husband adopted their German Shepherd mix, Melvin, they quickly learned that he had some behavioral issues. To help Melvin, Jackie began to learn about poor dog behavior patterns, what causes them and how proper dog training could make a real difference. Because of her fitness background and interest in dog behavior, Jackie was drawn to Jill Bowers’ Thank Dog! Training and Thank Dog! Bootcamp. Through Jill, Jackie learned how to teach basic dog obedience. As she watched Jill work with ALL breeds of dogs with ease, including those with extremely high levels of aggression, she felt called to pursue a career in dog training, too. Jill introduced Jackie to her mentor, John Van Olden, the owner of Canine Trade Group. As an accomplished dog trainer, John has taught some of the country’s most successful professional dog trainers. Jackie was given the rare opportunity to train with John in his exclusive and rigorous dog behavior training program. The program included an intense study of the scientific theories of dog behavior modification. It also covered all areas of training, from basic dog obedience training, to resolving complex behavioral issues. Following her coursework with John Van Olden, Jackie completed hundreds of hours of hands-on dog behavior training with dogs of many breeds and temperaments. She also had the opportunity to work with a wide variety of dog owners.